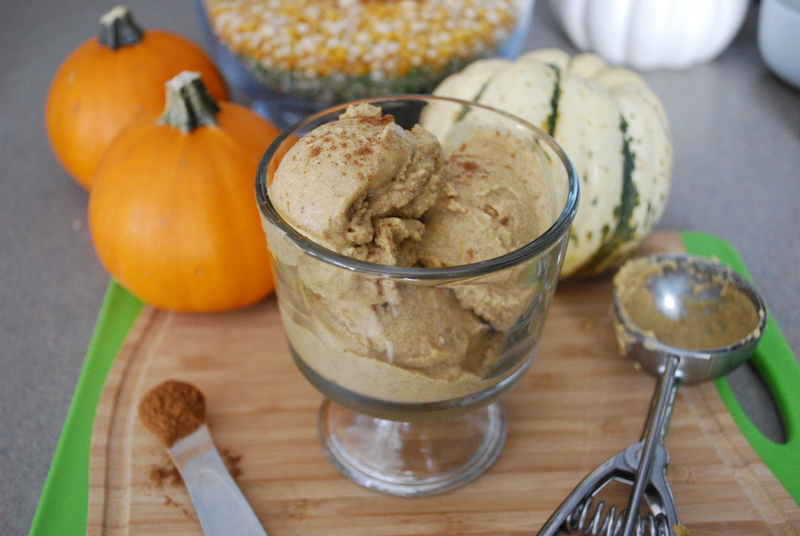 Here it comes, the obligatory pumpkin roundup! I’m starting to not like the word roundup, probably because it relates to Monsanto, but I couldn’t help myself again this year with posting all that pumpkin goodness. See last year’s here. I’ve been on a roll it’s time to go solo with both roasting my own pumpkin and using canned, so if you don’t feel like roasting a pumpkin (it’s really easy) just get some of the canned stuff. I don’t know what it is about pumpkin but it makes me all warm and fuzzy inside. Maybe it’s because I know fall is on it’s way or the fact that you see pumpkin patches popping up everywhere. I wanted include all kinds of recipes so it’s not just the sweets you may be after, but tried to add some main dishes along with drinky-drinks. 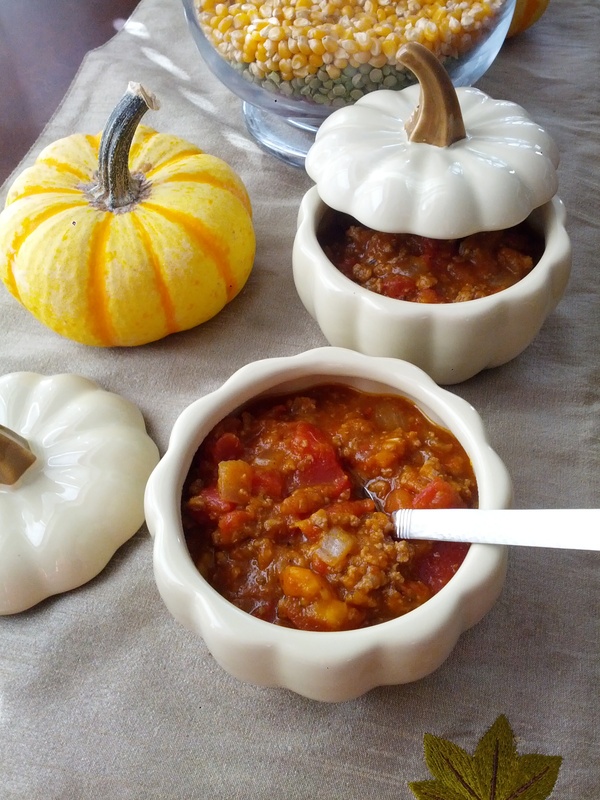 Check out my Pumpkin Pinterest board for more ideas. I hope you enjoy this year’s roundup and it gets you excited to tackle the Great Pumpkin this fall season! 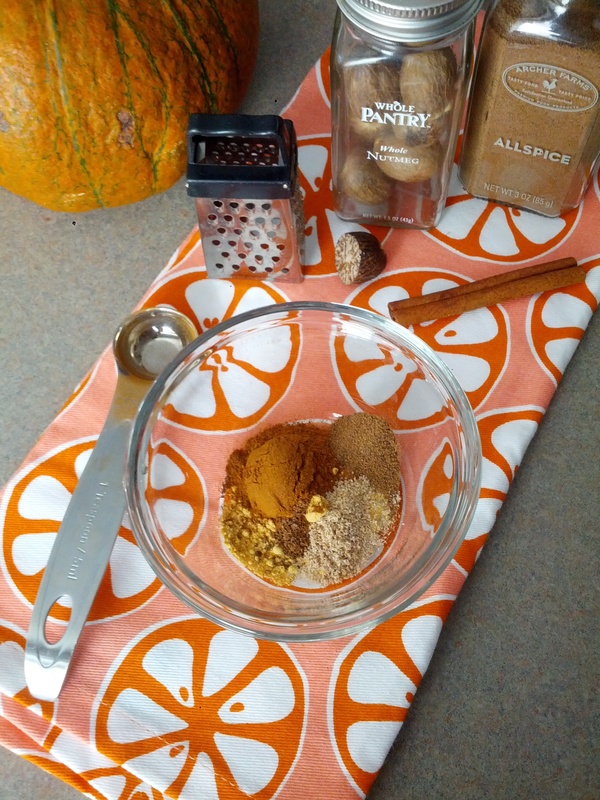 Who knew how easy it was to make your own pumpkin pie spice! Make sure to double or triple this recipe so you always have plenty on hand. Check out the recipe here. 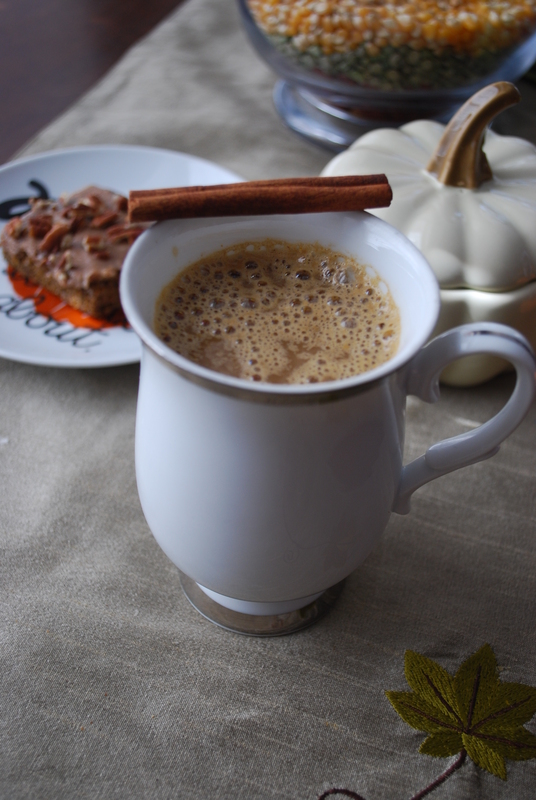 Ya’ll know I made a latte last year, but I have to say that this is the quickest and tastiest around. Go whip one up for yourself and see what you think. It even got rave reviews from my non-paleo friends! I made her original version along with making one with coconut milk and dates, instead of the maple syrup. Get the recipe here. 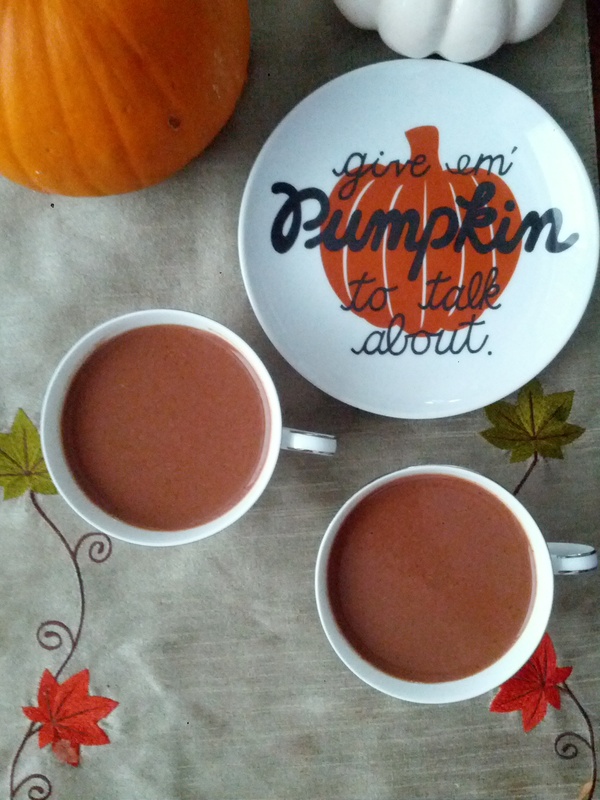 This is a fun spin on your traditional hot chocolate…just make sure to really puree the pumpkin or blend the end product so it’s not chunky. You could also whip up some homemade marshmallows to drop in the final product. Put your mitts on the recipe here. Oh man, this recipe is pure genius! I love how creamy it tastes and how delectable it is on fruit as well as celery and carrots. Note: I also subbed dates in lieu of the syrup for the Whole30. Rush to her site to make this and check out the recipe here. 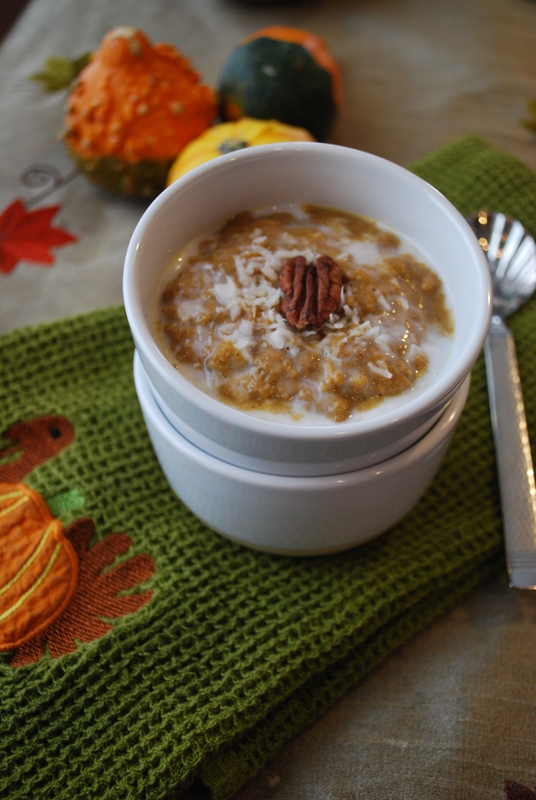 This little gem is quite tasty for a quick breakfast for those of you missing your oatmeal. Be sure to serve it along with some bacon and fried eggs to make it a complete meal. See the recipe here. I just made these a few weeks ago before heading to our annual camping trip at Beaver’s Bend, and knew I wanted to whip up another batch, since they went like gluten-free hotcakes. Note: I used dried plums since I didn’t have any cranberries on hand. Get those started here. I have it on good faith that these are tasty. 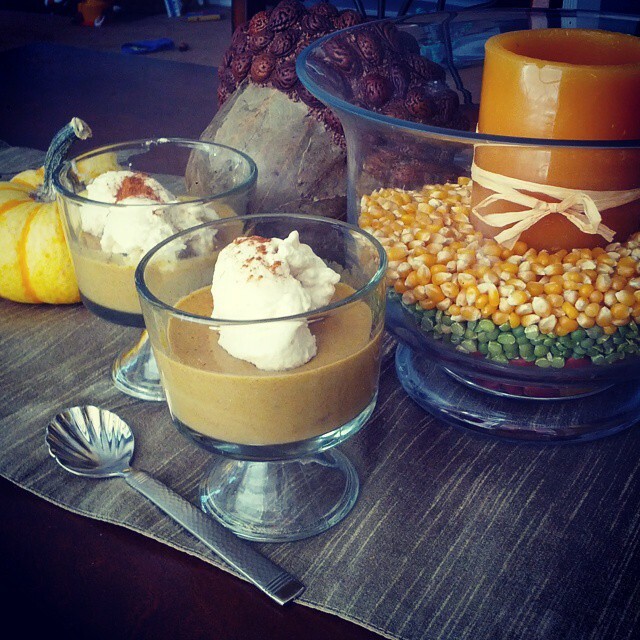 I was in the middle of doing a Whole30 when I made these for a pumpkin spice latte party (PSL), so I couldn’t taste the end product. I do know that you should NOT skip on making the Maple Pecan Glaze. Whip these bars up from here. I stumbled across this recipe on a trip to Austin at a local produce store, and have to say that I was not let down. It might be hard to understand how it’s supposed to taste, so go for a savory spin and curl up in front of fire with this one. Note: I only used one large onion instead of 4 cups. 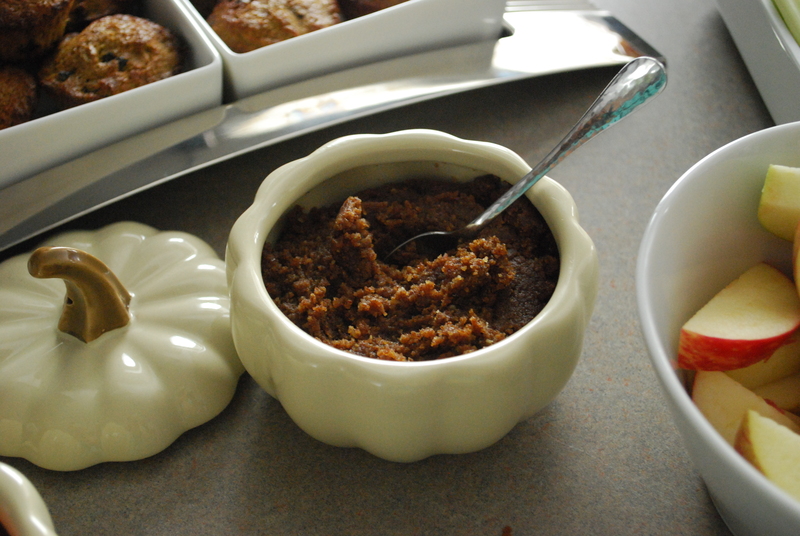 This would go great with some ‘cornbread’ muffins, too. See the recipe here. This pudding is divine! I love every recipe I’ve made from Kelly’s site, so it was no surprise when this turned out to be delish. Grab her recipe here. What I love about this recipe is that it doesn’t call for bananas as a sweetener. Next time I will make sure to make her caramel topping when I’m not in a rush. I also subbed dates for the honey in the recipe and even Emma approved. Start churning with the recipe here. And if that’s not enough for you, here are a few other recipes I’m itching to try. 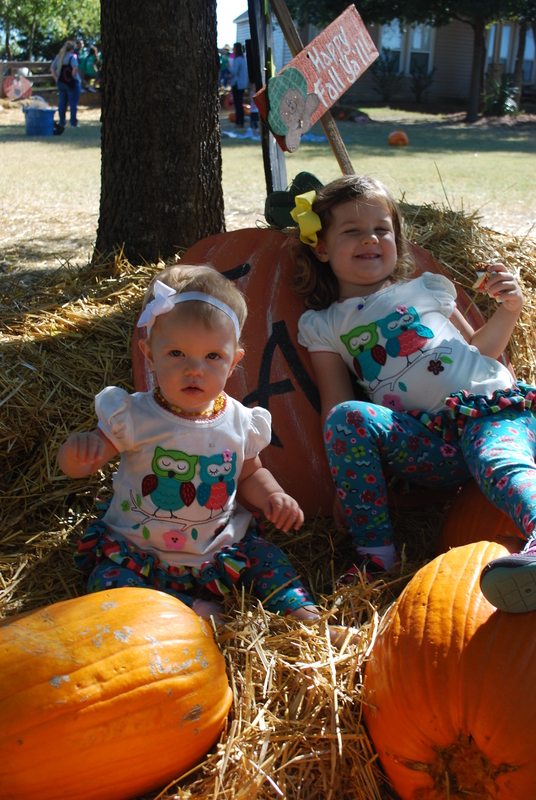 Happy fall, ya’ll! Love the recipes! 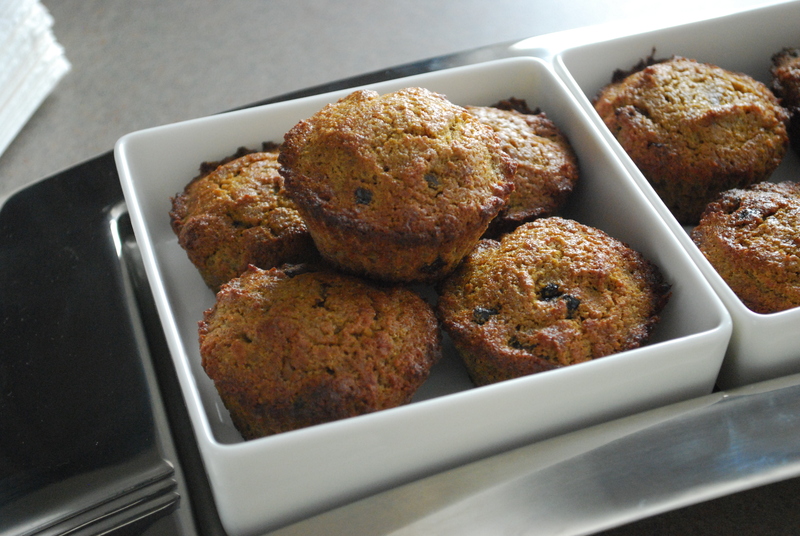 I am making some muffins for Zayne’s Thanksgiving party next week. 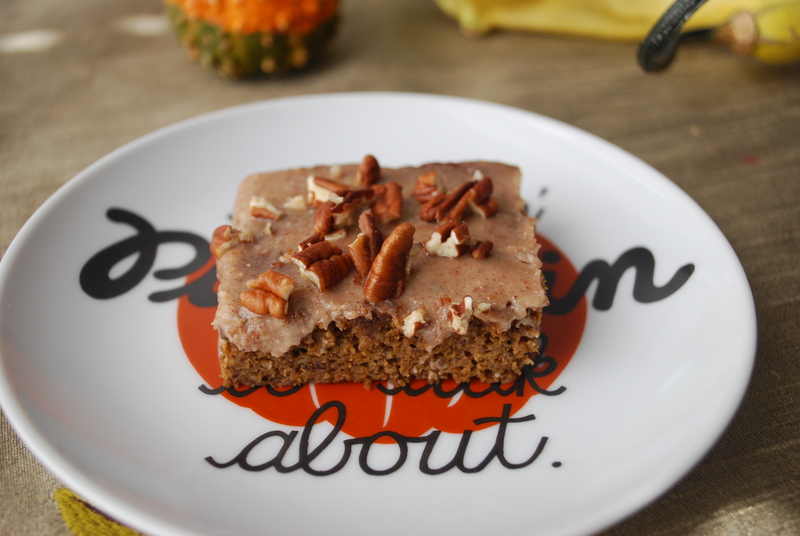 I want to either make the pumpkin cranberry muffins, or the pumpkin bars. Which would you recommend for 5 year old kids? Thanks! « It Starts With Food: Do You Want To Do A Whole30?